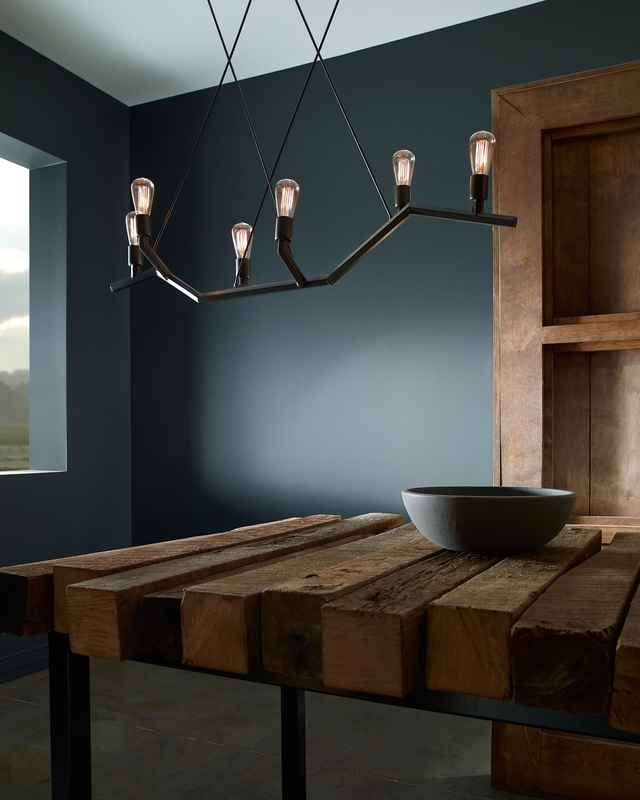 The Akimbo by Tech Lighting is inspired by winter tree branches. 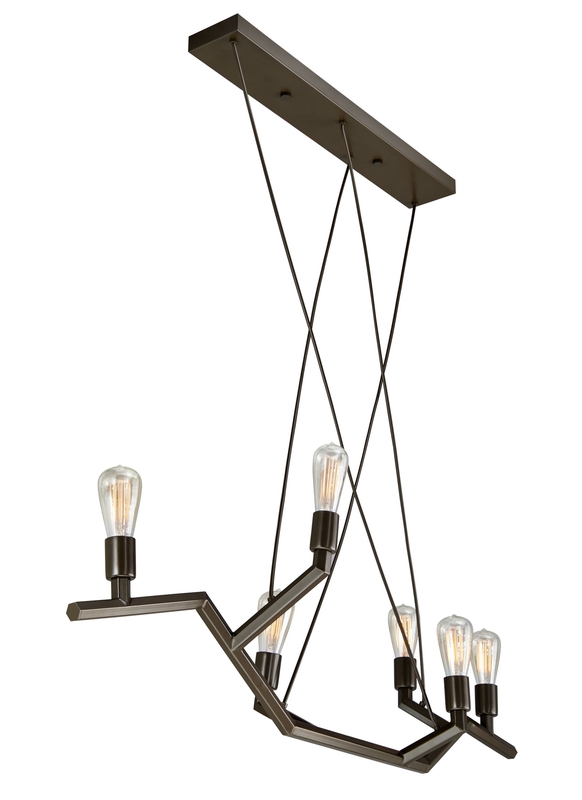 The Edison-style lamping and bold lines create a unique lighting fixture. 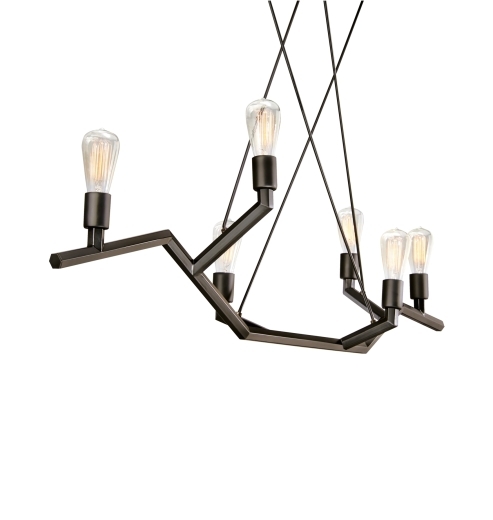 Available in two stem lengths and in antique bronze or black. 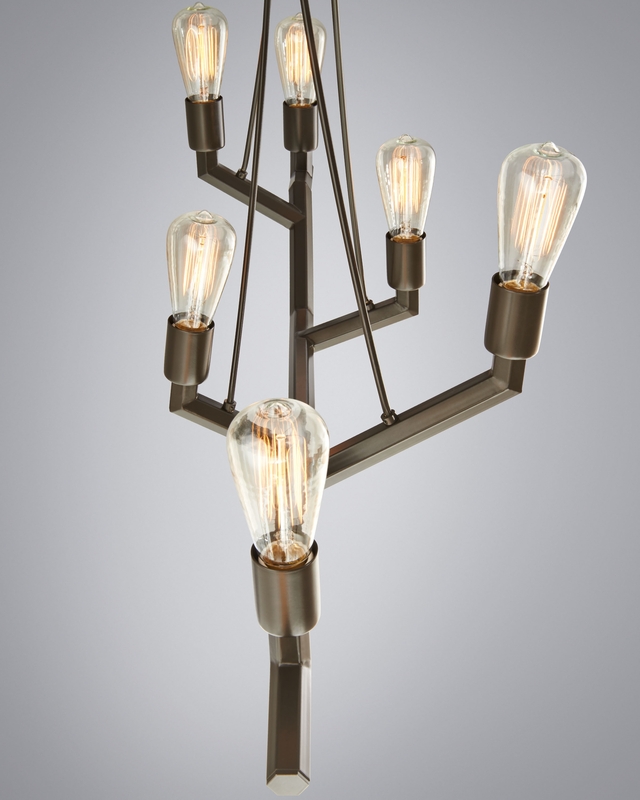 Includes six 120V, 60 watt, S21 Squirrel Cage lamps. 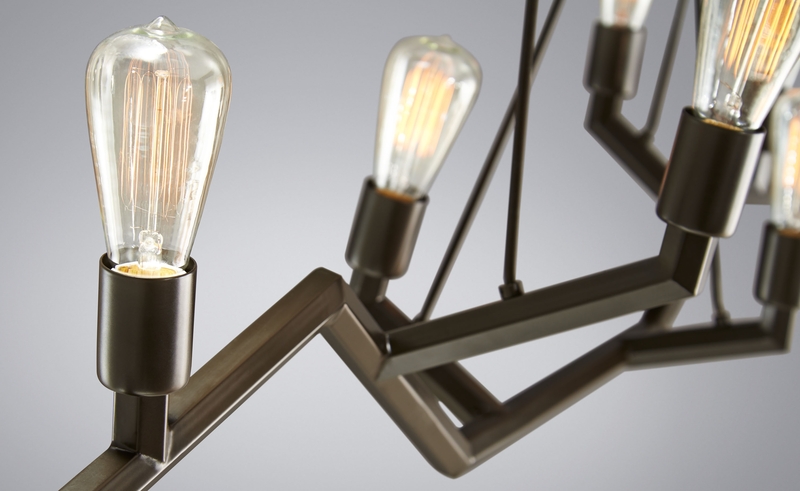 Dimmable with standard incandescent dimmer.